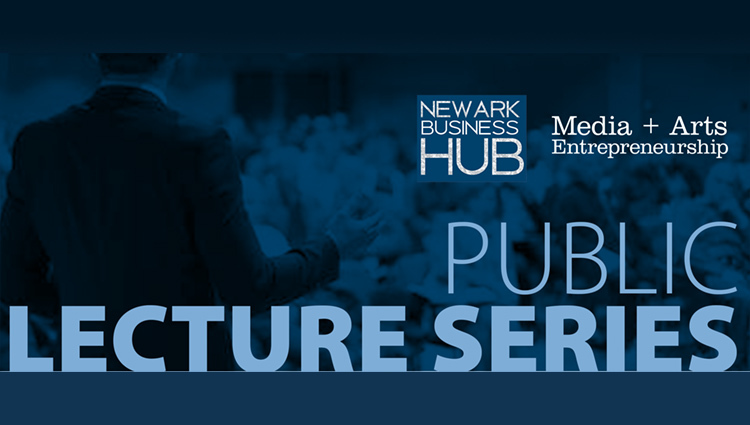 Public Lecture with America’s top business executives in mixed-media, arts and entertainment at Rutgers Business School CUEED. 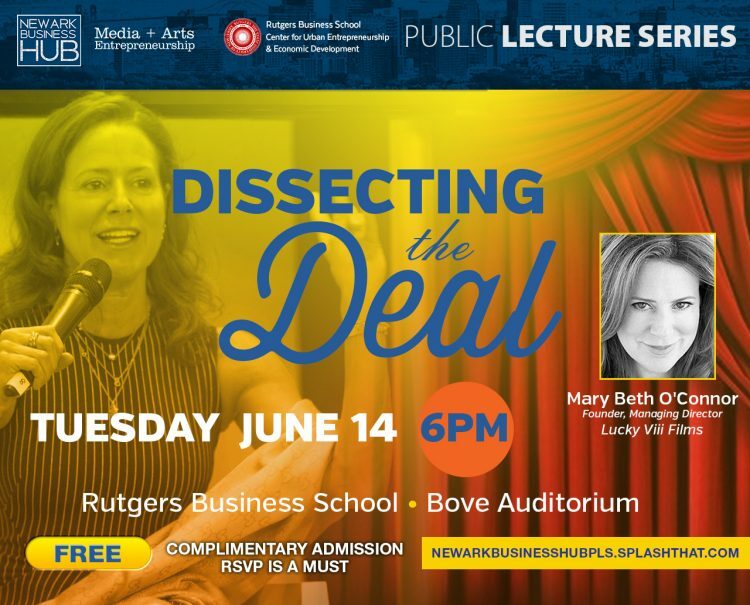 Mary Beth O’Connor is a founding member and managing partner of Lucky VIII, an independent film, television, and theatre production company. In April 2016, O’Connor was appointed Vice Chair of RKO Pictures, under its chainman, Ted Hartley. The RKO Pictures appointment coincides with the company’s re-emergence as a leader in 21st Century media. RKO Pictures includes the company’s legendary library, as well as new film. TV, stage and new media projects. Currently RKO Stage is developing: Carefree: Dancin’ with Fred & Ginger to be directed and choreographed by Tony Award winning choreographer Warren Carlyle. Carefree is a co-production of the New Jersey Performing Arts Center and RKO Stage, created to tour performing arts centers, and will debut at the New Jersey Performing Arts Center’s Victoria Theater in November 2016. O’Connor, along with partner Robert Cole, launched LUCKYGODOT in September 2015, to develop a slate of projects for Broadway. Previously, on Broadway O’Connor’s producing credits include That Championship Season (2011), starring Kiefer Sutherland, Jason Patric, Chris Noth, Brian Cox and James Gaffigan; Lyle Kessler’s Orphans (2013), starring Alec Baldwin, Ben Foster and Tom Sturridge, helmed by Tony Award winning director Daniel Sullivan (two Tony nominations – Best Revival and Supporting Actor for Sturridge); Big Fish (2013), directed by Susan Stroman, based on the Tim Burton film; and The Glass Menagerie (2013/2014). Tennessee Williams ‘ poetic masterpiece, starring Cherry Jones and Zachary Quinto and directed by John Tiffany. The production received Drama Desk and Outer Critics Awards as well as a Tony nomination. In London’s West End, O’Connor’s credits include the debut of Jomma Murray Smith’s, The Female OJ The Species, directed by Roger Michell and starring Danie Eileen Atkins in the London production and subsequently, Annette Bening at the Geffen Theatre in Los Angeles, and Strangers Oil a Train written by Craig Warner and directed by Robert Allan Ackerman based on the 1950 Alfred Hitchcock film. Feature Films include The Other Man, directed by Richard Eyre and starring Liam Neeson, Antonio Banderas, and L.aura Linney. Lucky VIII Films, working in partnership with Frank Doelger and Rainmark Films in the UK, is currently developing Play Dead, based on the novel by Ryan Brown, with a screenplay by Joe Schreiber. Also in development is a feature film inspired by the Frozen Flashback and the story that lead up to the 2010 event. For television. O’Connor is an Executive Producer for Stiletto Network, a series in development with author and screenwriter Pamela Ryckman. With partners Shaquille O’Neal and Michael Parris, Lucky VIII is leveraging the economic revitalization that continues to grow in Newark, New Jersey by cultivating a continuing pipeline of viable productions and positions in financial services to advance the economic vitality of this urban community. O’Connor was an early investor and is currently a managing member of lronbound Film and Television Studios (IFTS), located in the lronbound District of Newark, IFTS is a 37,800 square foot state-of-the-art production studio facility offering short -term residential accommodations. lronbound was financed in partnership with Prudential Insurance Social Investments, as well as private investors. lronbound currently services MTV Networks’ SPIKE TV’s Inkmasters, now in its 9th, Season in Newark. Acting credits include roles on Law and Order and Law And Order: Special Victims Unit, and a featured role in the pilot of AM C’s TV series Rubicon, directed by Allen Coulter. O’Connor has also been the voice of scores of commercials from toothpaste and women’s hair products to sports cars and trucks. She was a member of the NY /NJ 2014 Super Bowl Host Committee (February 2014) and serves as a trustee for Newark Boys and Girls Club, New Jersey Performing Art Center (NJPAC) and on the board of LifeCamp. O’Connor is the current president of the The Women’s Association of NJ PAC and is also a member of the Broadway League and Parents’ Executive Committee for Hobart William Smith College, the President’s Circle, the Performing Arts Council of the University of Notre Dame, and a trustee emeritus of Kent Place School. Mary Beth O’Connor is a graduate of Fordham University where she majored in English and Theatre. She currently lives in New Jersey with her husband David and their family of six children.